Mike Phillips says he and his Racing 92 team-mates are still in shock after the Paris attacks. 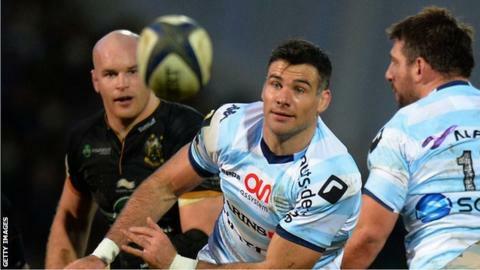 Racing take on Scarlets in Llanelli on Saturday in the European Champions Cup. The French club's opening pool match against Glasgow was postponed following the attacks and 94-cap Wales scrum-half Phillips says the Racing squad has felt the impact of the tragedy. "I think everyone's still in shock, everyone's been traumatised really," he said. "People have had people they know who they have lost - friends of friends - and it is tragic. "I think the message is that we keep on living and moving on with our lives, not stopping what we do and being strong really - keeping together and hopefully this terrible time will stop." The attacks in Paris left 129 dead with more than 350 people injured. Phillips started his career in Llanelli before going on to win two Grand Slams with Wales and play in two Test series for the British and Irish Lions. The 33-year-old former Scarlet, Cardiff Blue and Osprey joined the Paris club two months after being dismissed by Bayonne in October 2013 having been accused of off-field indiscipline. Wales second row Luke Charteris also plays for Racing, and centre Jamie Roberts was there last season. "I don't live in the middle of Paris, but the scary thing was when Jamie was here last year we actually visited one of the places that was hit, and that was scary to know that.," Phillips said. "It's on your doorstep and you are thinking about it but you've just got to live your life and move on. Hopefully this time will pass very soon." Roberts joined Harlequins following the Rugby World Cup, while Charteris is expected to join Bath before the start of the 2016-17 season. Phillips is out of contract in June 2016 and says he will consider his own future at Racing soon. "'l will see how the next couple of months go and see how the movements are the next few games," he added. "I guess those decisions have to be made over the next couple of weeks."